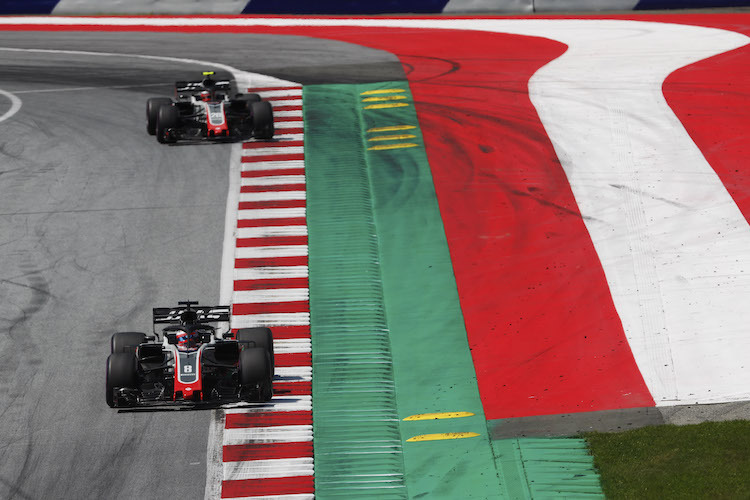 The inaugural Austrian Formula 1 Grand Prix proved to be one of the most popular European races of the year. The race was sold out well in advance. Our advice is check where you what to sit and book early to avoid disappointment. 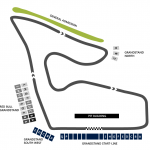 The Austria Grand Prix is held at Spielberg at the Red Bull Ring formerly known as A1-Ring. Red Bull have spent over £50 million on the track including new Grandstands and revisions and upgrades to the circuit. Corners 7 Rindt and Corner 8 Red Bull Mobile both proved to be exciting and the long street between Corner 1 Castrol Edge and Corner 2 Remus saw the cars reaching incredible top speeds. The main Grandstand is called the Red Bull Grandstand, what else! And is located just after Corner 1. The stand has 15 blocks from A O. Block A being the closest to the corner and being priced at the highest rate. The Red Bull stand isn’t covered but does have numbered seating and a large video screen. If you want a view of the first corner you need the South West Grandstand just before Castrol Edge corner. You will have a view of the start/finish line but the view is not as good as the main Start Finish Grandstand. The South West stand is not covered but does have a large video screen and seats are numbered. For the best view of the start/finish line and the pits you need to book the Start-Finish stand unsurprisingly! These are regarded as the best seats at the circuit and are priced accordingly. The stand is covered and as you’d expect seats are numbered and a video screen is within view. Situated opposite turn 3 one of the most demanding sections of the course. You can all see from Turn 2 down the straight before braking to negotiate Turn 3. Depending on your seats in the North Stand you may be able to see the cars snake through Turns 4 and 5. The General admission tickets for the Austrian Grand Prix not only offer great value but also a great view of the circuit from the wide banked area between turns 2 and 3. With such great views of the circuit and the bargain price, these are sure to sell out fast. The Hotel Steirerschlössl is a luxury hotel with a highly rated gourmet restaurant and guest house. The G’Schlössl Murtal hotel is decorated in a luxurious country house style. The Hofwirt in Seckau, situated in a Baroque building that is protected as a historic monument. The Landhotel Schönberghof and Gästehaus Enzinger both have spectacular views of the Spielberg motorsports park. Be sure to check out the Voestalpine wing on the start finish line. This new building is shaped like the rear wing of a Formula 1 car and is used by the 500 press representatives whose reports on the event are broadcast from here to 186 countries worldwide. Parking is not available at the circuit however, there will be parking facilities around 10-15 minutes walk from the circuit, free of charge. From Graz take the A9 towards Salzburg. At St Michael junction, follow the S36 towards Klagenfurt/Knittelfeld/Judenburg. Exit the S36 at Zeltweg Ost/Spielberg and take the first left and then left again onto the L503. 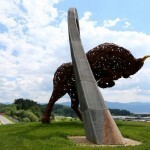 You will need to follow the road down for around 2km then turn right at the Red Bull Ring.